Whatever your skin needs are, we have a facial made for you! Our trained and licensed estheticians will consult with you about your skin, perform a skin analysis, and make recommendations for services and products that will make your skin look and feel smooth and radiant. We use Bioelements products in our facials, and also provide these products for retail purchase so you can continue the same great care at home. Visit the Bioelements website to learn more. Unsure what treatment is best for you? We offer a complimentary 15-minute skin consultation to help you determine what your skin needs are. If this is your first facial, if you are looking for a little extra pampering, of if you would like to maintain your skin, try one of our Essential Facials. Each individualized treatment includes a professional skin analysis, deep pore cleansing, exfoliation, a customized Bioelements mask, ending with moisturizer and sun protectant. We also include a relaxing face, neck, shoulder, and scalp massage. We personalize this facial to meet your skin’s needs, no matter what they are. 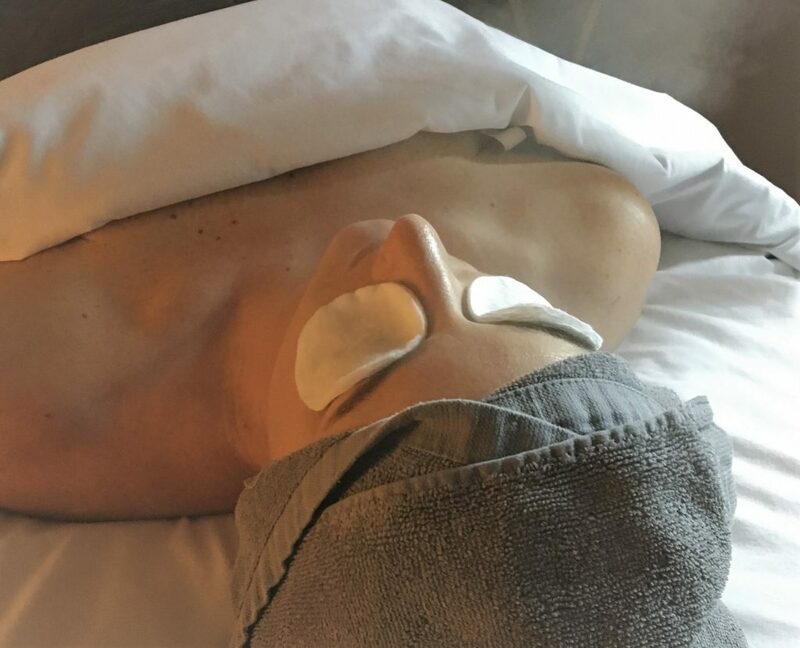 Leave feeling refreshed and relaxed after receiving our most popular facial treatment. Everyone knows pregnancy brings many changes to a woman’s body. Many women experience skin changes, too, such as pregnancy acne, or pregnancy mask. Our Pampering Pregnancy Facial can help manage skin changes so you look and feel your best. All of our products are approved for both mom and baby! A man pulls a razor across his face an average of 5,200 times a year, causing dry or irritated skin and ingrown hairs. Our Men’s Face Treatment will calm your stressed skin. Includes deep pore cleansing, exfoliation, facial massage, corrective serum and moisturizer. These facials include everything from the Essential Facial with special add-ons that will help particular areas of need. Perfect for targeting fine lines and other visible signs of aging skin, our Anti-Aging Facial firms, strengthens, smooths, clarifies and hydrates your skin by infusing it with anti-oxidants and trace minerals. The finish is a Bioelements Flaxx-C Mask, ideal for poor elasticity and dull, aging skin. Get your skin back to a healthy, youthful appearance! Whether you have stubborn chronic acne, hormonally induced breakouts or clogged pores and blackheads, our Acne-Clearing Facial will help! The deep-pore cleansing and exfoliation target breakouts. A medicated power treatment and Amino Mask will follow, applying enzymes, AHAs, antioxidants, antiseptic, and anti-inflammatory ingredients. Make this effective treatment a part of your continuing fight against acne. Using only the gentlest and most calming products, our Sensitive-Skin Facial soothes and hydrates delicate skin, protecting it from moisture loss and visible irritation without using chemical preservatives, artificial colorants, synthetic fragrances, or animal byproducts. Take your skin care to a whole new level with our advanced facial treatments, formulated to penetrate your skin deeper without the down time. A series of six to ten treatments is recommended for best results. The skin on your body needs just as much care as the skin on your face. Our Body Treatments provide a facial for your whole body and leave your skin feeling smooth, soft and revitalized. Perfect alone or in conjunction with one of our full body massages or facials. Are you going to the beach or on a cruise? Are you wanting to wear a backless or strapless dress to that special occasion? Just because you can’t see it, doesn’t mean you can ignore it! Your back can get all the benefits of our Deep-Cleansing Facial for your back! Includes deep pore cleansing, exfoliation, therapeutic mask and corrective serum. 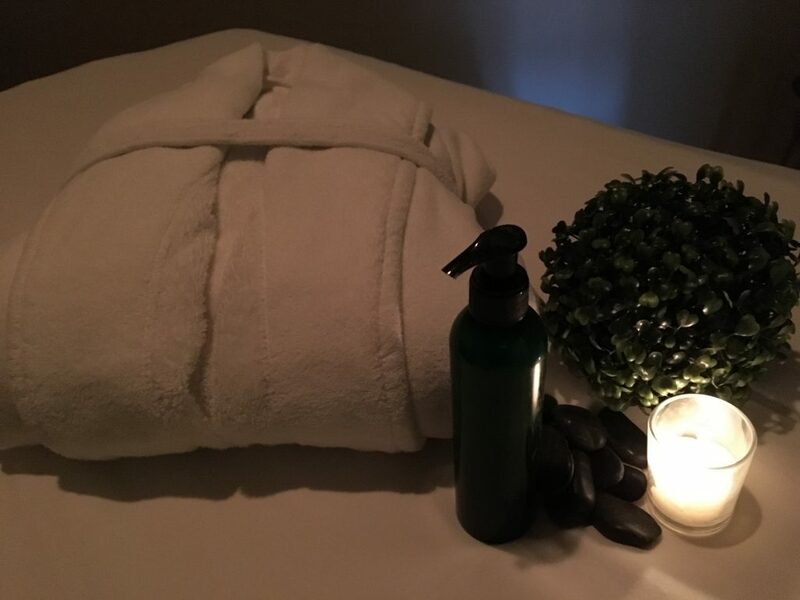 We offer a special green pedicure with a steamed-towel treatment, and you get to relax on a massage table covered with warm blankets and a lavender eye mask while we pamper your feet. Are you ready to get rid of your razors, your tweezers, depilatories and other messy hair-removal gadgets and products? Get a smooth, soft look with no mess, no hassle, and easy maintenance every three to five weeks! Earn great deals through our loyalty program—even free massages! Every dollar spent is a point earned. Receive a 10% discount for all your employees! They’ll simply have to present their corporate name badge at the time of their service to receive the discount. To partner with us in this way, we’ll have you host at least one corporate massage per year, put up some signage in an employee lounge to let them know about the discount, and provide us with the name of a contact person for follow-up. Contact us today to get this company-wide perk set up! As a way of saying, “Thank you for your service to our country,” Oasis offers a 15% discount to active military members. Create a user account in our online booking program and be sure to enter your birthdate in order to receive an annual birthday special!